Ever since I finished the original Stroming the World trip I had been saying that I needed to change my motorbike. I bought my V-Strom second hand, thinking that it was my first big bike and it was going to get heavy use as my daily commute and sleep on the street, so it was a good idea to buy something cheap and reliable. It had about 40,000 km and at that time I had no idea that it was going to take me to so many places. By the time the trip was over the bike soon passed the 100.000 km mark back on her daily role as commuter bike and I was taking it everywhere – out on weekend trips, holidays in Corsica, pretty much everywhere in Spain… and I kept thinking that I needed to start considering a new one, for the old trusty V was already piling on too many kilometres. What do you replace a V-Strom with? Usually the answer is “another one”. Nothing is as cheap, reliable and versatile as these bikes. Nothing. But I was now doing most of my trips two up, and I wanted something more powerful. For months and months I spent hours reading tests and reviews, trying to figure out what the best replacement was. I wanted something a bit more powerful, comfortable, just as reliable and with the off road ability that the V lacked, that is, better suspension and a bit more ground clearance. I first looked at the same manufacturer – I had a very good relationship with my Suzuki dealer in Barcelona and I trusted the brand, after all my V had proven to be 100% reliable. I took a look at the 1000cc V-Strom, but a few things put me back. It was a new model, so there were still no second hand deals, which meant that it was just out of my budget, and it was quite road-biased – cast alloy wheels, not much ground clearance and not enough suspension travel increase over the 650. And not the prettiest girl in town, either. The GS was another obvious answer to many, but the asking prices for second hand ones were just ridiculous, and the ones within my budget has astronomical mileage. And despite all their round-the-world, Long Way Round fame, a GS just did not inspire as much confidence as my V when it comes to reliability. Too many reports of final drive failures, electronic gremlins and lower general quality than my V. I kept reading a lot about “quality components” on the specialised press, but when I looked at how the plastics aged on a GS that had spent its life on the street compared to the ones on my V, I just did not perceive that famous quality. My bike is a workhorse, not a garage queen that is only ridden on sunny Sunday mornings, and I need it to live up to that task. 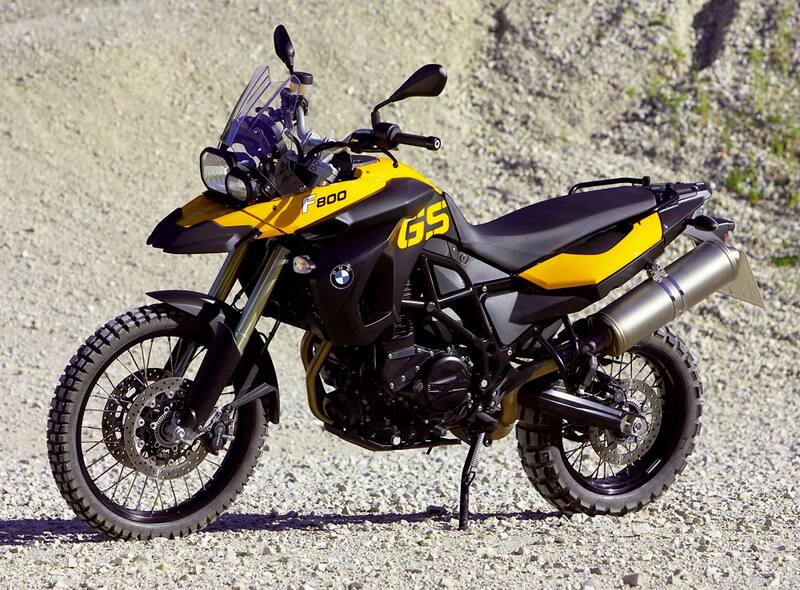 The 800 GS was interesting – much better suited to off-road duties, more power than my V for two-up riding, not as heavy, cheaper to buy and with a huge range of aftermarket extras. However, it suffered from three main problems. One – same patchy reliability record as her big sister. Two – ugly as hell; I did not fall in love with her, and you have to love your bike, it cannot be something you look at and think “it’s OK”. And three – the Porsche Boxter phenomenon. No matter how good it is, it still looks as if you couldn’t afford the real thing, a 911. 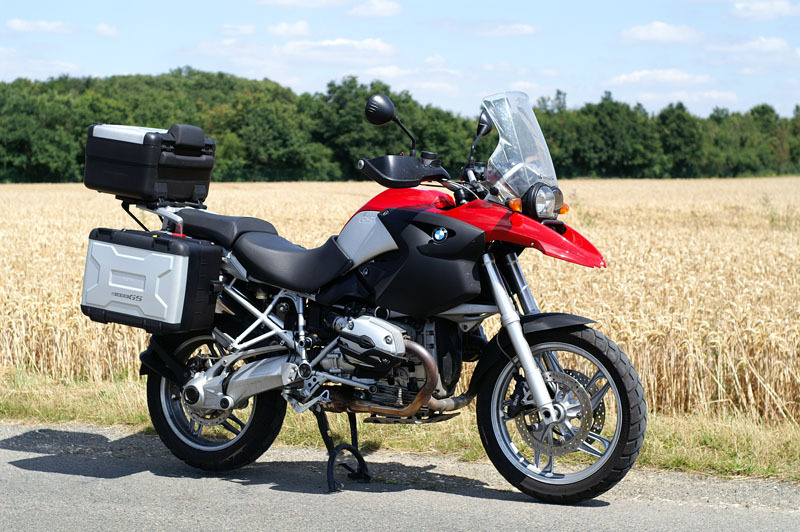 This is the same, it’s just not a 1200 GS. If I wanted more power, more off road ability and more fun, orange seemed the way to go. 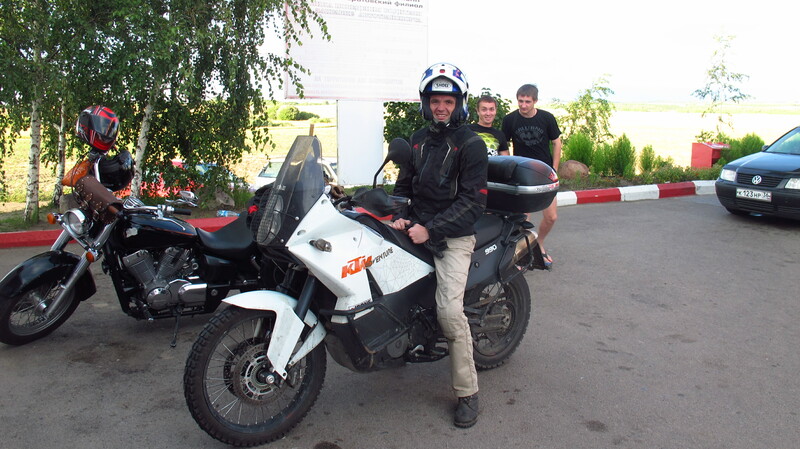 I had had a taste of Ilya’s 990 Adventure in Moscow and fallen in love with it. Second hand prices were very good too, at least in Spain, and it is definitely the queen when it comes to rough terrain. The problem is that Katies are 100% adrenaline 100% of the time. Great for adventure trips or attacking twisty roads at the weekend, not so great for everyday traffic, and while relatively cheap to buy second hand, they are frighteningly expensive to run. Fuel consumption can be ridiculous in heavy traffic (I have to commute in and out of Barcelona every day), and a valve check is due every 12.000 km, which means taking half the bike apart every few months. No thank you. 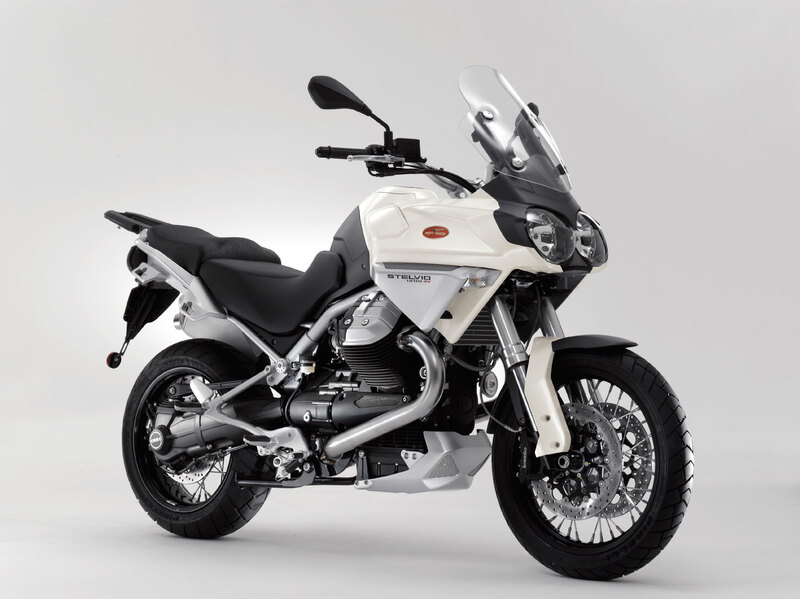 The 1200 Triumph Tiger Explorer was also out of the question, too expensive, as was the Moto Guzzi Stelvio, not only too expensive to buy new (very rare and therefore difficult to find one second hand) but with abysmal depreciation if I wanted to sell it on later. 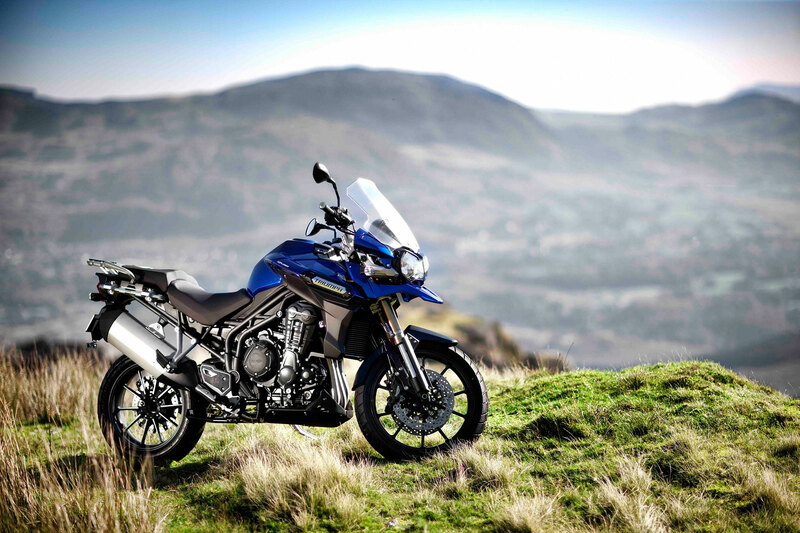 That left two candidates that looked good on paper – the Triumph Tiger 800XC and the Yamaha Super Ténéré 1200. Both had wire wheels, good suspension travel and ground clearance, enough power for two people plus luggage and were easily available on the second hand market. The problem with the Yamaha was that it was still out of my budget, and the few units that I could afford were over 50,000 km – not such a high mileage as the GS, but still more than I wanted, and I was also worried about weight. The bloody thing weighs just over 260kg wet! 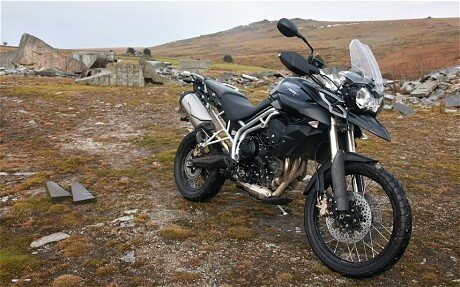 So, Triumph Tiger it was. I went to the dealer where I had found my second hand V and asked if they had any for sale. It turns out they did – an ex demonstrator, practically new, in black, very good deal. I was almost convinced that I had found my future bike, but then I took it for a test ride. What a disappointment. I really liked the bike, it looked great, had good suspension, very good brakes compared to my old one and the legendary triple engine was smooth as butter. What did not live to the legend was the low-end torque. Everybody said that this engine was the best of both worlds – low end grunt like a twin, exciting at high revs like an inline four. Well, it wasn’t. Despite having 27 more horsepower it only had 16 more nm torque, and I kept stalling it in start-stop traffic in Barcelona. Some people argue that you just have to adjust to the clutch and the power delivery, and to be fair, when I was back in the city after a ride in the hills I did not stall it so much, but it still required more work and attention to ride in traffic than my V, and I just did not see myself using that bike daily, let alone negotiating difficult terrain. My feeling was that Triumph had designed a very good trail bike and then completely ruined it by fitting it with a road bike engine. Back to square one, then… I kept riding my beloved V and started considering just replacing it with another one when it got too old, until I was invited to a wedding. I once read some statistics somewhere about how many people find their future partners at weddings, and seems to be true. During lunch we were sat at the table with a friend of mine who has a 660 Ténéré and is good friends with one of the mechanics at the dealer he bought it from. We were talking bikes and he mentioned that they had a Super Ténéré for sale there. Only two things had put me off that bike before – price and weight. Other than that, it was the perfect one – Japanese reliability, powerful, very torquey, shaft drive (no more chain maintenance) and relatively economical to run. He told me the bike had been bought and serviced there and they knew it had a good history, it only had 13,000 km and they were asking the same as for the ones I had seen with over 50,000 km, so I went to see it the following weekend. 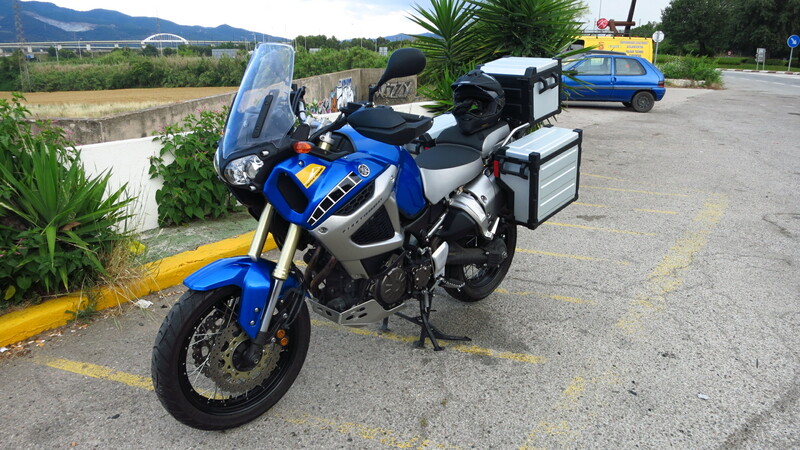 It turned out that the previous owner was a dentist and had bought the bike on a whim and only used it to go between his two clinics and once a year for a holiday in Mallorca. It was in mint condition and had all the accessories that came with the First Edition – aluminium engine guard, headlight guard, hand guards, heated grips and three original Yamaha cases, which unlike the Tiger, it meant that I had to spend nothing getting it ready to travel. The guy had decide that it was too much bike for that task and put it up for sale. So far, so good. Only one thing to do – test it. I needed to see how the engine delivered its power, if it vibrated much and how it handled its considerable weight. I took it for a ride in the Collserola hills and fell in love with it within minutes. This was it. My new bike. I paid a deposit, and a few days later picked up the new baby. 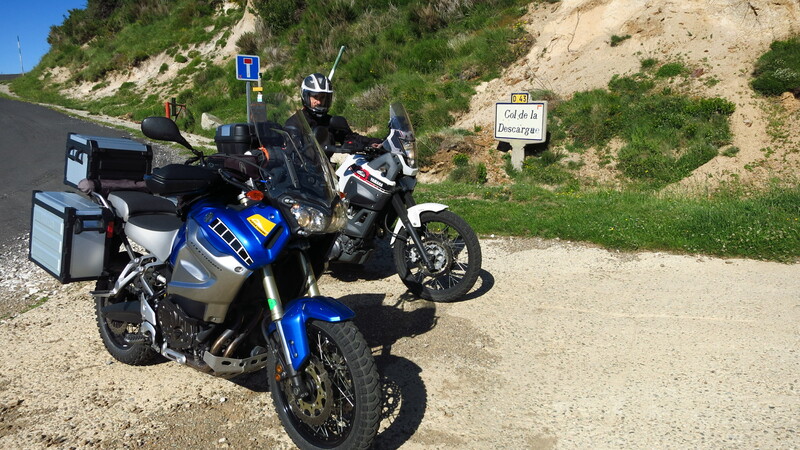 A week later I went for a 4-day ride in the Pyrenees that combined roads and tracks to see what she was capable off and I was very impressed, but that is a story I will tell on a later post, together with a full review. So now, what about this blog’s name? 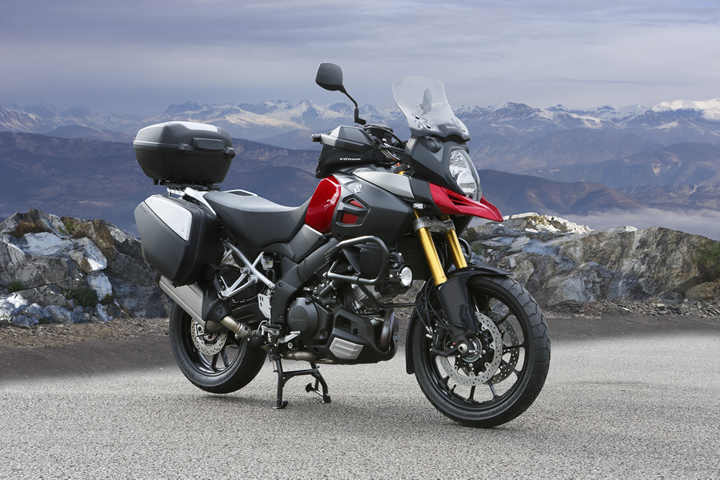 It is based on the V-Strom name, after all… And what about the old bike? Well, the old bike is not retired yet… more to come soon. This entry was posted in Equipment and tagged new bike, Yamaha Z 1200 XT Super Ténéré by Kilian. Bookmark the permalink.